Here is a list of Employment agents in Papua New Guinea. If you are an employment agents and is not listed below, please do contact us for inclusion. The Papua New Guinea National Broadcasting Corporation has several job vacancies. Any interested persons can apply for the position. The ideal candidate is a motivated, well organized individual. As the head of the division you will plan and implement sales, marketing and product development programs, both short and long term, targeted towards existing and new markets by performing assigned duties personally or through subordinates. The successful candidate is a motivated, well organized individual who can ensure assigned daily Current Affairs are produced for radio broadcast and aired on schedule. Ensures all program's content meets the broadcast standards and editorial policies of the NBC. Please note that housing is not provided. For more information on the positions, contact the Recruitment Officer on 3253571 or 3255233, or you can also email recruitment@nbc.com.pg. Executive Officer - The Executive Officer is responsible for implementing the BFPNG’s Strategic Plan to grow the number of people playing basketball in PNG and increase the operational effectiveness of the Federation. S/he must provide effective leadership to subordinates and direct competition and program activity effectively, and must also ensure that the Executive Committee is provided with regular and timely updates on the implementation of the Strategic Plan. The right candidate for the Executive Officer position is someone who is a proactive, competent, skilled and experienced administrator who is eligible to work in Port Moresby. He or she must have strong management and organisation skills, experience with the use of social media and a background in sales, sponsorship and marketing. Experience with leading teams at executive level is advantageous. Salary range – 140,000 – 160,000PGK dependent on relevant skills and experience. Administration Officer - The Administration Officer is responsible for supporting the Executive Officer to implement the Hoops for Health program and provide BFPNG with administrative support. This includes coordinating the implementation of the Hoops for Health workplan including organizing activities and trainings, being responsible for all administration and reporting associated with the program, online and print communications and marketing as well as other tasks associated with BFPNG. The right candidate for the Administration Officer position is someone who has good writing skills and is a competent and experienced administrator who is eligible to work in Port Moresby. He or she must have strong organisation skills, experience with the use of social media and the ability to coordinate small teams. Experience with in sport is preferred but not essential. Salary range dependent on relevant skills and experience. High Performance and Events Officer - The High Performance and Events Officer is responsible for supporting the Executive Officer to implement the BFPNG annual calendar of competitions and events. 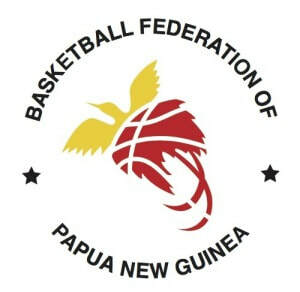 This includes coordinating the delivery of national 3x3 and 5 aside basketball championship events, facilitating the inclusion of basketball in PNG schools and delivering a national schools championship, delivering coaching and referees trainings as necessary for the development of basketball as well as other tasks associated with BFPNG. The High Performance and Events Officer will also be required to implement the High-Performance Plan and assist in the appointment of national team coaches and managers to ensure PNG National Team the best possible chance at success at international events. The right candidate for the High Performance and Events Officer position is someone who has good basketball knowledge and experience, is self-driven and eligible to work in Port Moresby. He or she must have strong organisation and communication skills, experience with presenting coaching workshops and the ability to coordinate small teams. For more information, and for detailed Job Descriptions, salary information and key responsibilities of each position, please click on the Job names above or please contact Saskia at sec@basketballpng.com. Applications Due 23 February 2018. The Information & Communication Technology Department at the OK Tedi Mine in Papua New Guinea is seeking a suitably qualified and experienced person for the role of Telecommunication Technician. 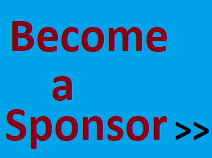 Reporting to the Supervisor Network & Communication Systems, you will be responsible forproviding support for a variety of Telecommunication equipment and systems. You will be responsible for the maintenance/repair of PABX & VOIP telephone Systems, carrying out installations, termination and troubleshooting of Fibre Optic & Structured Cabling (Cat 5/6) Standards including SCADA services andensuring maximum availability of all Telecommunication services to meet production demands. You will also be required touse and maintain electronics testing and measuring equipment, introduce and implement updated equipment, and review and improve work procedures at all times using OTML Occupational Health & Safety Procedures and undertake apprentice induction & monitor on the job training. To be successful in this role you will have a recognized Electronics/Communication/Telephone Trade certificate with at least 5 years’ experience as a technician preferably in a mining industry. Diploma in communications Technology & some supervisory experience will be highly regarded. You will be a team player with demonstrated positive attitude towards safety and high level performance, be self-motivated and organised in your work, and be able to perform competently to archive results with minimum supervision. Note the job will expire on the 19th of January, 2018. If interested, then plan and submit your application on time, any applications received after this period will not be considered. 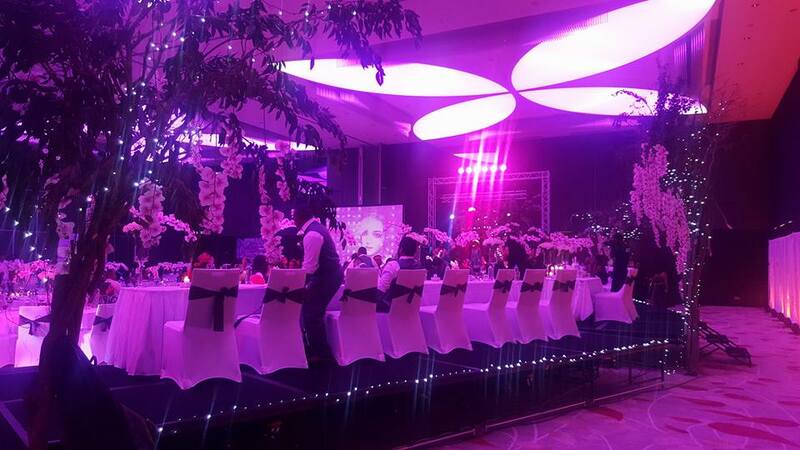 ​New Year, Exciting New Employment Opportunities at ''Simply the Best" Hotel in Papua New Guinea. Please note we can only process applications from candidates residing within Port Moresby. These are current vacancies and only shortlisted candidates will be contacted for interviews. Assemble, install, maintain and repair industrial, commercial and domestic air-conditioning/ heating and refrigeration systems and equipment. Routine inspection of heating and cooling equipment’s to ensure their safe operating conditions, diagnose equipment issues and replacement needs and prepare repair and maintenance schedules. Ensure that routine and preventive maintenance and cleaning is carried as per schedule to ensure all air-conditioning/ heating and refrigeration systems and equipment are functioning in safe working condition. Ensure compilation and use of accurate and appropriate documentation (e.g. records of refrigerants, paperwork, logs, time and materials, specifications, etc.) in compliance with regulations, conveying information and record management. Administer requisitions of equipment and supplies in order to maintaining optimum inventory stock levels of all vital air-conditioning/ heating and refrigeration systems and equipment. Conducts awareness on procedures and status of work orders to ensure availability of information for decisions making, implementing outcomes and ensuring compliance with health and safety regulations. Respond to all emergency situations during business or after hours to resolve immediate safety concerns and urgent breakdown of systems and equipment. Under the general supervison of the Public Affairs Officer, the incumbent is responsible for planning and implementing a variety of cultural programs that advance Embassy Port Moresby’s Mission goals in Papua New Guinea, Solomon Islands, and Vanuatu. The incumbent carries out programs using all available tools, such as U.S. cultural envoys and academics, professional exchange, and academic exchange programs. The Cultural Affairs Assistant also works to expand the Embassy’s partnerships with key educational and cultural institutions in the three host countries. The incumbent is the principal locally engaged staff member adviser for cultural affairs programs to the Ambassador and Deputy Chief of Mission. Bachelor’s degree required in journalism, communications, political science, English and public administration. Three years of progressively responsible experience in the government sector, civil society, or business organization with responsibilities related to public relations, event planning, program management, international relations, eduction, community development, community relations, non-profit management, civil society communications, marketing, or cultural education programs, and to include experience in communicating with diverse audiences, writing proposals, administering projects, and planning events is required. Level 4 English (Good working knowledge) of both written and spoken English and Pidgin level 3 is required. Possess excellent interpersonal and cross-cultural skills is required. Have strong ability to cultivate relationships within local educational and cultural institutions is required. Salary: K67, 878 – K89, 378 per annum, plus benefits, which will be discussed during the interview. P.O. Box 1492. Port Moresby. NCD. PNG. Only shortlisted candidates will be contacted. For those not shortlisted, we thank you for considering the U.S Government as a potential employer. THE USG IS AN EQUAL OPPORTUNITY EMPLOYER! The incumbent specializes in plumbing and mechanical systems operation and maintenance. Systems include, but are not limited to; water supply and storage, filtration, disinfection and other water treatments, hot water systems and equipment,piping, tubing, fittings and controls, irrigation, domestic plumbing fixtures including waterless urinals, drainage, sanitary systems, on-site sewage treatment, and storm water management. Completion of secondary school required. Completion of a one-year vocational training program from an accredited institute recognized as producing journeyman level plumbers and mechanical system specialist trained in the maintenance of commercial or industrial buildings/facilities is required. A minimum of three (3) years’ experience working as a journey-level plumber in the repair and maintenance of plumbing/mechanical systems in commercial or industrial facilities is required. Level III English (good knowledge of written and spoken English) required. 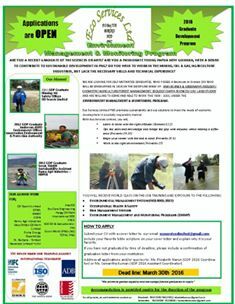 Demonstrate high standard of knowledge in plumbing, construction practices and construction safety. Well organized, able to work independently on job sites, able to drive a light truck. Salary: K41,250 – K52, 550 per annum, plus benefits, which will be discussed during the interview. Applications close on Friday March 24, 2017. The incumbent of this position performs janitorial and housekeeping tasks at the Embassy and occasionally assists in the maintenance and repair of U.S. Embassy properties. This position demands a high level of health/hygiene, maturity and the ability to initiate and complete projects with minimal supervision. Good working oral and written communication skills in Pidgin and English. Demonstrated working knowledge of cleaning materials and basic cleaning techniques. Salary: K22, 849 – K27, 019 per annum, plus benefits, which will be discussed during the interview. Incumbent serves as an HVAC Technician to carry out skilled maintenance and repair work at the journeyman level, to International Building Code standards, throughout the Embassy to include office buildings, out buildings, ancillary structures, and residential owned/leased properties. Incumbent reports directly to the Maintenance Foreman. Successful completion of secondary school is required with successful completion of a minimum of one-year vocational training from accredited institute in HVAC field is required. Minium of five years of journey-level experience in the installation, operation, repair and maintenance of commercial or industrial HVAC/mechanical refrigeration systems is required. Demonstrate high standard of knowledge in heating, ventilation and air-conditioning systems. Must be well-versed in HVAC controls inculidng motor starters, termostats, humidistats and building automation systems and sensors. Must have excellent interpersonal skills and be able to handle a large workload and multiple tasks and must be well organized. ​Eco Services Limited (ESL) is pleased to announce that it's 2016 Graduate Development Program is now open to receive applications. ESL is a nationally owned & operated social enterprise, which means that we are an organization that applies commercial strategies to maximize improvements in human & environmental well being, rather than maximizing profits for external shareholders. We train young Papua New Guineans who are willing and able to work and gain relevent industy skills and technical experience, who have the right attitude and are committed to continual improvement. Graduates from the discipline areas of the sciences and arts from UPNG/UNITECH/PAU/UNRE/UOG/DWU and other overseas tertiary institutions are urged to apply. This GDP is POM based and accommodation will be provided on site for the duration of the program. Please refer to information supplied below for details on how to apply & contact persons. Also please indicate to what program you are applying for on your cover letter. "Willing To Serve, Ability To Deliver"
Nambawan Super is looking for the next generation of leaders as part of our vision to be the world class Superannuation Fund in Papua New Guinea. and development programs to achieve their career goals. in respective Divisions of our business. with contactable referees. Only shortlisted applicants will be contacted.